Welcome to the Outcomes Rocket podcast where we inspire collaborative thinking, improved outcomes, and business success with today’s most successful and inspiring healthcare leaders and influencers. And now your host Saul Marquez. Saul Marquez: Welcome back to the podcast. Thanks again for tuning in. Today have a wonderful Carla Smith. She is the leader of Carla Smith Consulting. Previously Executive Vice President at HIMSS. Carla champions transformational strategy governance and policy in the healthcare sector. For twenty five years she successfully led businesses and created coalitions that have enabled the health sector to embrace innovation and enhance value quality access and efficiency. These are all things that any health system strives for. Her impact on health sector, sector of health is significant and well respected. She serves as an executive strategist innovator and businesswoman with the exceptional healthcare knowledge, contact,s and passion that she has. She really knows how to motivate and knows how to gravitate toward the needs and wants of the health ecosystem. Applying the insights with CEO’s, boards, and C suite, to make business thrive. Carla definitely knows how to transform market needs, knows how to tap into the motivations of people to get the job done. And it’s a pleasure to have her on the podcast here to highlight some of her her expertise and governance strategy in policy. So Carla thanks so much for joining me. Carla Smith: Oh thank you Saul. I’m delighted to be with you today and looking forward to the conversation. Saul Marquez: Likewise. Now that I leave anything in that intro that you may want to highlight to the listeners? Carla Smith: Oh thanks for asking that question Saul, I appreciate the introduction and and I think part of the heartbeat of what you said is how important it is to me to do meaningful work in the health sector. I think that the opportunity in front of us all to make a profound difference in the health sector meaning we’re improving the lives of people and those who care for all of us. There’s a tremendous opportunity and I want to continue to play a very active and pivotal role in helping craft the strategy to make that happen. Saul Marquez: Love it. Well you know you’ve done a lot of great things in your career, Carla and I know whatever you decide to do is going to be amazing. So what is it that got you into healthcare to begin with? Carla Smith: That’s a wonderful question Saul because I sort of fell in to healthcare but oh my goodness when I got into healthcare I realized that this is where there is the opportunity for me to work my bliss. I have been in the health sector for nearly 30 years and in that time I have seen so many changes along the way and have seen how we have the opportunity to harness the work of the generations that came before us to really apply to today and to leverage all of the innovations that are coming out to make a difference for people and those who care for all of us. Saul Marquez: Yeah. You know it’s we definitely can… sometimes I think take for granted that we stand on the shoulders of those that came before us and and if we take a look at healthcare a hundred years ago, healthcare 50 years ago, healthcare today, there’s definitely been some forward movement. A lot of people criticize areas of healthcare but we’ve made some steps forward and so I’d love to hear from you Carla what you believe is a hot topic that needs to be on health leaders agendas and how are you guys approaching it with your clients and things that you do? Carla Smith: Sure. So that’s it. I appreciate the question there Saul. And so things that that CEO’s and Boards of Directors need to be taking into account is the, a couple of things. One is the need to be relentlessly nimble and flexible. Never fall in love and stay in love with one particular direction or point of view. That is not a recipe for success. Rather you need to always be curious and ready to leave behind or walk away from something that used to work but they may not be working so well anymore. Another one is to always keep in mind just some of the relentless focus on why you are doing what you are doing. The mission of your business is where you need to be focused and that intended user of your products and services whether you are a vendor or a provider or a researcher or in any field and policymaker it’s staying very much focused on the mission and the intended outcome that you are trying to drive to. So those are a couple of things Saul that I would really say today even more than in the past are so important for the C suite to be paying particular attention to. Saul Marquez: Yeah I think those are some really great thoughts Carla and gosh you know this idea of not marrying a direction and you know today’s systems may not meet tomorrow’s needs and you’re right. I mean we definitely have to be open minded and so give us an example Carla of what you’ve seen or things that you’ve done differently to create results and in our space? Carla Smith: Sure. So let’s let’s use a current example Saul. Carla Smith: There is research out there that says that if that by I think it’s about 20, 30 there is going to be a real and noticeable shortage of primary care physicians and a shortage of practicing nurses. However those projections are built upon changing nothing from now until then in how we think about caring for patients and the involvement of patients and the work that clinicians do. What could happen if we turned that on its head and say we don’t have to in the future be doing those things the way that we do them today in 2018. What can what kind of technologies can we harness? How can we change the way we educate our clinicians who are currently in school today? How can we change the workflow? What kinds of innovations are coming into the field from all kinds of different angles that could be adopted? What kind of payment policies need to be changed and updated so that when we get to 2030 or beyond that yes we may have fewer primary care physicians, we may have fewer nurses, however, we have strategically changed our direction so that those who are in the field are working at their highest levels of competency are working at their highest levels of licensure and the consumers and the patient have been optimally engaged so that they are true partners in maintaining their wellness and when they become ill helping them return to wellness or to more effectively manage their ongoing conditions. Saul Marquez: I think that’s a great example and gosh I mean you know really kind of thinking rethinking what we’re doing in a way that will create results because it necessarily doesn’t have to mean that there is a shortage right. If we employ for example telemedicine and get patients more involved may not be there if there’s a shortage because we’re morale. Carla Smith: Right. Exactly. We’ve gotten going back to remaining nimble and flexible being curious about you know just pull a thread of an idea and see where it takes you that can create innovation. Oftentimes what I have found is that when you get into organizations they’re innovative and they don’t even realize that they’re innovative because they’re head down doing their work and then it’s like stumbling across this wonderful gem. And you point out to the leadership team “hey do you see what John Doe or Susie Q. over there is doing? I’ve not seen that before.” And and that’s an opportunity for you as a business or an organization to leverage that and make it work and solve a problem that you’re currently facing. Saul I’ll give you another example of how of how things evolve over time. There used to be a time I’m going to make it up say nine years ago I used to do a presentation called “Hey Dude Where’s My EMR” right. Carla Smith: It was based upon the students who were currently in medical school or nursing school and getting educated by using paper. And yet these students in the rest of their lives were digital natives and were appalled they too were being trained to enter a field by practicing on paper and through their questioning the audacity of them questioning their teachers and their educators and those that they were doing clinical rounds with. It starts rattling the cages of those who are in the field and saying wait a minute wait a minute. Those are really good questions. Why are we doing things the way that we’re doing them? And over time that started moving mountains. Then you had policy changes. For example the high tech act that came out of the American Reinvestment and Recovery Act. That was another lever that got pulled. And through these various seismic changes today we are now able to really harness different workflows, change management techniques, technologies, and be able to build on the foundation that has been put in place over the last decade. And we can become very creative looking at new ways of the health sector performing and moving into the future. Saul Marquez: Yeah. That’s what a great angle to look at it from. So you’ve obviously had gosh I mean you’ve been in the business for a long time and and so with your experience I’m sure you’ve seen some setbacks. You know we learn more from those setbacks than we do the successes. I love if you could just you know share a story of one of those and what you learned? Carla Smith: Sure. So we’re facing a setback right now and it’s called Physician burnout. And there’s also nursing burnout. The practicing medicine and nursing is very difficult work. It is actually safer to be a coal miner than to be a practicing clinician in certain departments in a health system. Emotions run very high sometimes in highly stressful health encounters. There is also tremendous paperwork that has to be done to meet regulatory guidelines, to get reimbursed for the care. There’s endless new research coming out that clinicians have to stay abreast of. There is so much information pouring out of these technologies and yet it’s not being effectively turned in to knowledge. So there are multiple things that are contributing to burnout and that is a real and present challenge that we have got to address in the health sector. And thinking about it from a strategic standpoint, it is valuable to have clinicians who are able to re embrace the joy of practice. The reason why they got in to healthcare in the first place, to provide opportunities for researchers who are inventing brand new exciting things for them to be able to embrace the joy of that work, to engage patients so that they are increasingly part of their own solutions and they feel empowered to take their health into their own well-equipped and well-informed hands. These are opportunities and we we need to be looking at Saul sort of that ugly underbelly that that is difficult to look at and are great thorny problems. Those are the things that we need to be facing and looking to find innovative solutions for. Saul Marquez: And so definitely a great point that you bring up. It’s a it is an issue and one of the things that I believe is that we definitely need a little bit more balance and in the way that we do that is the question of I think the era. And I think the opportunity is there to get better and I feel like the approach that a lot of female health leaders are taking is really making a positive impact. Love what you’re doing in the space of bringing more female leaders to health care. We’d love to hear your thoughts on that in particular. Carla Smith: Sure. I’m glad to. Sothere is a several reports that are out that are very valuable to understand about the importance of having diversity. For example on your boards of directors in your leadership c suites for example there was a report published in 2017 by a group called 2020 Women on Boards that shows that 55% of companies that fell off the Fortune 1000 index either had no women or just one women one woman on their Board of Directors. And then there is some research coming out of the Catalyst group that shows that companies that have the most female board directors performed better financially than those with the fewest females on their boards of directors. There is also the data that comes out of the U.S. Bureau of Labor Statistics that tells us that in talking about the health sector specifically, women drive 80% of health related decisions. So understanding that market is profoundly important for businesses in the health sector. And so one of the things that I think trips up companies is when there is either an undercurrent or an overt arrogance that the leaders think that they understand and it is either arrogance or sometimes it’s simply disregard there do not realize or are disregarding understanding how important diversity is and what those kinds of attitudes can do Saul is they can close your ears and they can close your minds to having new information coming in. And that is a very serious issue at the C suite level. If that comes into play because your business can be negatively impacted if and when you are less open to new information, new points of view being heard. Saul Marquez: I think that’s great. Yeah. You know look for everybody listening to the call the action is is let’s definitely keep an open mind to diversity women in the workplace, different cultures because we’ve got to better understand how to serve the people that we’re serving in healthcare, the patient. And it’s important that we really consider this important topic of hey let’s include more women in the C Suite. Let’s include more diversity in the C suite because that’s going to get us the foundation for making the appropriate changes to get the results we’re looking for. So appreciate your thoughts on that Carla. The stats are pretty interesting. So tell us what’s one of your proudest leadership experiences to date and in our field? Carla Smith: I have been very proud Saul to have been able to be involved in so many high profile momentous changes in our health system of being involved in policy with multiple pieces of legislation such as I mentioned earlier the high tech act, 21st Century Cures, the codification of the National Coordinator, the being able to inform the Department of Defense and the Veterans Administration as they’ve been thinking through their strategies around how to improve the quality and efficacy and access to health and health care for our military and our veterans. Also the role that I played in helping us all to understand how important it is for the consumer and the patient to be part of the conversation and to have been a person who’s been able to bring together those coalitions of the patients and the payers and the med device and the health I.T. and the policy to all work collaboratively in this health ecosystem so that we are improving and transforming the ecosystem for the better. Saul Marquez: Thank you and it’s definitely a an important track that you that you’ve been on and for for any any company looking to to really make an impact. It’s key to have leaders that have been there and done that. And there’s definitely no doubt in my mind that you’ve been there and done that Carla and the value you could add is tremendous. What would you say an exciting project your focus on today is? Carla Smith: Oh I love working. I just love working on strategy Saul. The opportunity I’ve been talking with companies that are in the med device area, the payer, health services organizations, provider organizations, helping them with strategy issues of where is the health ecosystem going? How can my business be in the driver’s seat on in the health ecosystem? How can I be successful to meet my business goals and my mission? Those kinds of conversations that I’m having Saul have been tremendously exciting and are truly meaningful to me of being able to be part of those conversations and helping us reframe and rethink of how and why we do what we do to the benefit of our customers, our clients, our patients,, our shareholders and achieving our mission. Saul Marquez: That’s wonderful. So we’re getting to the to the end of the interview here, Carla. This has been a really fun discussion. I’ve really enjoyed it. This part of the interview we’ll do a five questions lightning round style. We do the syllabus every every time we do an interview with our guests and so it’s the one on one of Carla Smith. Five questions lightning round style followed by a book that you recommend to the listeners. You ready? Carla Smith: All right I’m ready. Carla Smith: Make it work for the intended user. To do that you’ve got to involve all the stakeholders and then allow yourself to evolve your thinking and your approach because you’ve actually listened to them. Carla Smith: Leave… check your arrogance at the door and open up your mind to make sure that you are hearing and being able to be nimble and flexible to take your business where it needs to go. Carla Smith: You’ve got to be relentlessly focused on improving health in healthcare for whoever your client or your customer is. You’ve got to always be ready to release that shiny new toy or the thing that you thought was going to work. And you’ve always got to be ready to explore. Saul Marquez: Love that. What’s one area of focus that drives everything in what you do? Carla Smith: Performing meaningful work that brings joy that brings joy for the people who are involved in that meaningful work and bring joy and appreciation and value for those for whom it is intended. Saul Marquez: What book would you recommend Carla? Carla Smith: Oh anything by Bill Bryson particularly A Walk In The Woods or A Brief History of Nearly Everything. Saul Marquez: Anything by Bill Bryson? So what is it that you love about his work? Carla Smith: Hit the home run. Saul Marquez: It’s a great combo. Thanks for the recommendation Carla. So anything by Bill Bryson in particular, A Walk In The Woods. We’re just rethinking today’s direction for tomorrow’s needs with with Carla Smith here today. So go to outcomesrocket.health type in Carla Smith. You’ll find an entire transcript there of our interview as well as a show notes, links to any of the resources we discussed today. Carla, love if you could just leave us with a closing thought and then the best place for the listeners could get in touch with you. Carla Smith: Thanks Saul, so folks can most easily get hold of me with through my email address which is carla@carlasmith.health and that’s Carla with a C. You can also find me on LinkedIn. I’m very active on LinkedIn would look forward to connecting with people either way. Saul Marquez: Outstanding. Carla this has been a blast. Then looking forward to staying in touch. Thanks for spending time with us. Carla Smith: Thank you Saul, really enjoyed it. 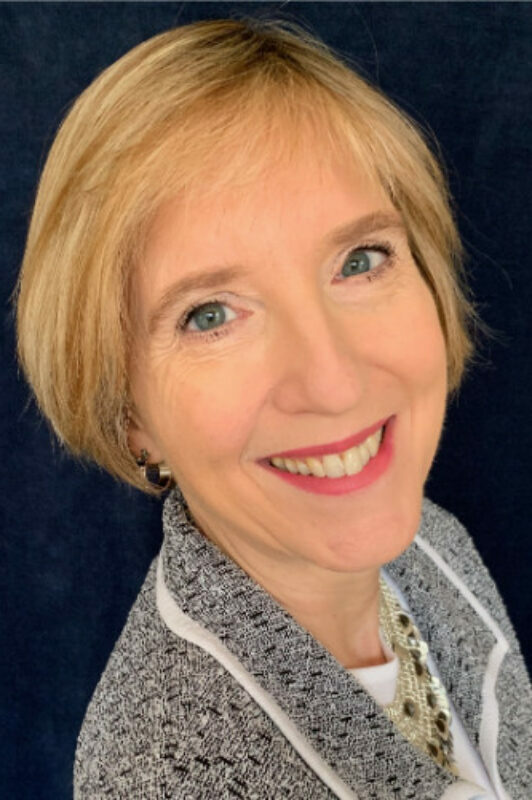 The above audio transcript of “Navigating Healthcare Policy and Technology with Carla Smith, CEO, Carla Smith Consulting” was transcribed by the best audio transcription service called Sonix. If you have to convert audio to text in 2019, then you should try Sonix. Transcribing audio files is painful. Sonix makes it fast, easy, and affordable. I love using Sonix to transcribe my audio files.